Samsung Electronics Co. says problems with the design and manufacturing of batteries in its Galaxy Note 7 smartphones caused them to overheat and burst into fire. 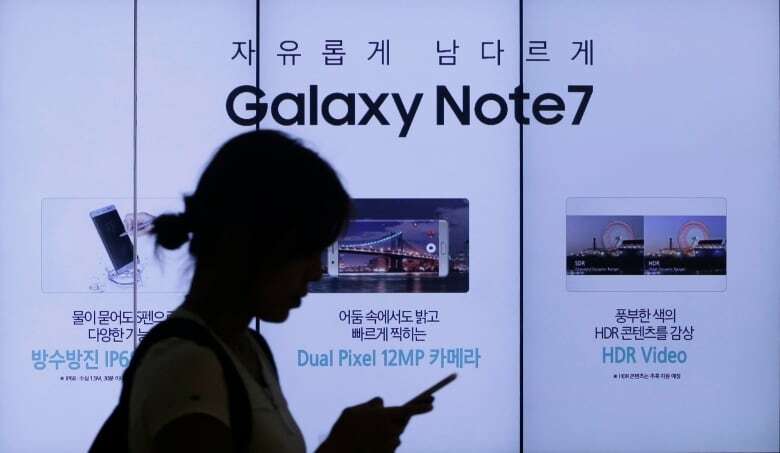 Samsung Electronics said Monday that after testing more than 200,000 Galaxy Note 7 smartphones, it found defects in two sets of batteries from two different manufacturers made the devices prone to catch fire. Samsung's mobile division president, Koh Dong-jin, ruled out any problems with other aspects of the Note 7, either in its hardware or its software. He denied the South Korean company, had rushed to release the premium phone to beat Apple's release of its new iPhone. The Note 7 was launched on Aug. 2, about a week earlier than its predecessor in 2015. Samsung discontinued the Note 7 just two months later in one of its worst product fiascos ever. It said that in ferreting out the cause of the problem, 700 researchers and engineers tested more than 200,000 devices and more than 30,000 batteries and replicated what happened with the Note 7 phones. U.S. companies UL and Exponent also examined the batteries supplied by South Korea-based Samsung SDI and China-based Amperex Technology Ltd., or ATL. The German company TUV Rheinland analyzed the Note 7 supply chain as part of the investigation, Samsung said. The Galaxy Note 7 featured one of the biggest battery capacities so far for smartphones at 3,500 mAh, or milliampere hour, which gave it the highest energy density of all Samsung's devices. Koh said Samsung and the outside inspectors found no evidence that the high energy density alone had made the phones prone to overheating. Rechargeable lithium batteries are more susceptible to overheating than other types of batteries if they are exposed to high temperatures, are damaged or have manufacturing flaws. A highly technical explanation of Note 7 problems boiled down to the relatively large batteries not fitting well into the phones, and not enough insulating material inside. In batteries by one manufacturer — likely Samsung SDI — used in the phones in the initial Note 7 recall, inspectors found damage to upper corners. That, combined with thin separators and high energy density, caused the phones to overheat. The cell-pouch design of the battery did not include enough room to safely accommodate its electrodes — another flaw. It was unclear to what extent the battery maker was responsible for those problems: Samsung said only that it had provided "targets" for the batteries. "We suggested that the Note 7 has innovations and a compact design and a 3500 mAh (battery) but we did not know how to make the separators within (the battery) or how many millimetres thick they should be," Koh told reporters. That may suggest a breakdown both in communication between Samsung and its suppliers and in quality control and testing. In other batches of batteries from a second manufacturer, presumably ATL, the researchers found welding defects and a lack of protective tape in some battery cells. Though it faulted the batteries from its suppliers, Samsung said in a statement "we provided the target for the battery specifications for the innovative Note 7, and we are taking responsibility for our failure to ultimately identify and verify the issues arising out of battery design and manufacturing." 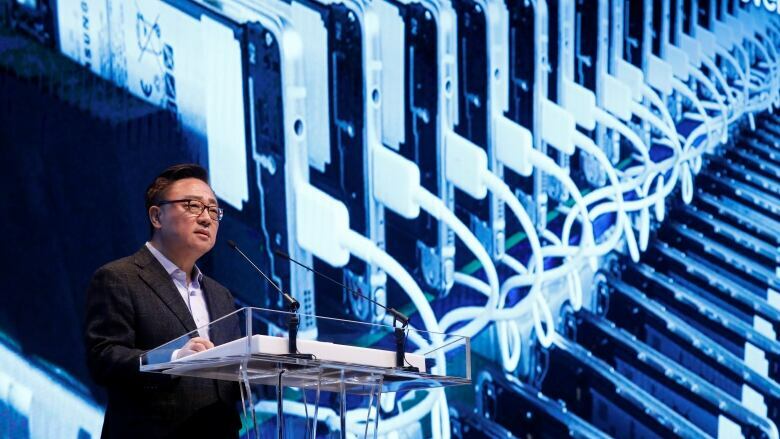 Koh said Samsung would treat the event as a "chance to strengthen the safety of lithium-ion batteries for the entire industry, not only us." Recalls of the Note 7s began in September after reports emerged that some of the phones were overheating and catching fire. At the time, Samsung blamed a flaw in the lithium batteries from one of its two suppliers, without saying which manufacturer was to blame. In October, Samsung dropped the phone for good after new Note 7s with different batteries issued as replacements also were found to be catching fire. It estimates the problems will cost it at least $5.3 billion through early 2017. The company has recalled 3.06 million Note 7 phones. About four per cent, or 120,000 units, of the recalled Galaxy Note 7, are still not returned. Samsung has taken heat for its handling of the recall and its hasty, apparently incomplete initial investigation into what went wrong. The company has said it is planning the release of its next generation Galaxy phones. To do so, it needed to definitively resolve the mystery over the Note 7.